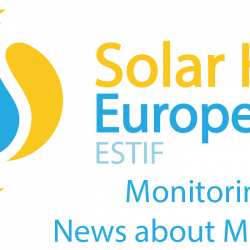 Solar Heat Europe is proud to present our policy manifesto for a Fast and Just Energy Transition in the Heating and Cooling Sector. With this document, we wish to convey the urgency for deploying a renewable heating system, as well as the great potential solar thermal energy has to meet the needs for heating and cooling of European citizens and European industry. Not only is solar thermal a mature and very efficient technology, it can also reach large-scale energy production and provide thermal storage capacity. Finally, we also put forward four policy asks in order to ensure solar thermal can contribute to its full potential to a completely decarbonised European energy system.